American Metalcraft specializes in products for fine dining, catering, buffet service, and pizza supplies for restaurants, hotels, clubs, and resorts. By the late 1950s, the company expanded from its pizza pans and plate covers and began to sell copper shapes and bowls which sold primarily to copper enamellers. In 1961, Herbert Kahn succeeded his father as president of American Metalcraft becoming a second generation president and CEO. 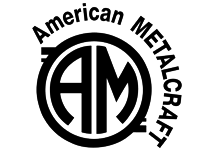 By then, American Metalcraft’s product line began to grow even larger. The 1960s saw the company importing products from overseas thus allowing American Metalcraft to be competitive in the industry and keep prices low. The 1970s were a decade of strength. American Metalcraft’s distribution center caught fire during the decade but the company was able to survive. Following the year of the fire, American Metalcraft had its most profitable year until that time. The 1980s saw the company prosper more than financially. Arc Cardinal is part of the largest tableware company in the world. As a key component of the Arc International global portfolio, Arc Cardinal is part of the largest tableware company in the world. With production facilities in France, the United States, China, Russia, and the United Arab Emirates, Arc International provides tableware on a truly global scale. Our mission is to set new standards of excellence through innovative product design, technological advancement, global teamwork, and extraordinary customer service. Arc Cardinal has a passion for and understanding of food and beverage service. For decades, we have set the world's tables with some of the most durable, most stylish, and most valued tableware around. Made with materials of the highest quality, clarity, and consistency, it is tableware that raises the senses while helping raise profits. Cal-Mil creates and manufactures products for the foodservice industry including accent bowls, case displays, bar and mixology displays, beverage dispensers, cutting boards, covers, serving stones, and much more. Cal-Mil was founded in 1965 as a family owned and operated business to create and manufacture products for the foodservice industry. Our mission is to fulfill the needs of foodservice professionals in a creative yet efficient manner. Our dedicated team of designers observe trends and help create a path to fresh and innovative products. Cal-Mil combines manufacturing expertise with innovative design and manufactures in a wide range of materials which include earth-friendly materials, metals, and synthetics. Our four step custom design service includes listening to your needs, brainstorming to develop an action plan, employing our design team to create and test real products, and maintaining a professional supply line from concept to shipping. Cal-Mil's products include accent bowls, case displays, bar and mixology displays, beverage dispensers, beverage and serving carts, bread boards, bread displays, cutting boards, cereal dispensers, chafers and alternatives, chalkboard displays, condiment and packet displays, covers and trays, cup and lid organizers, flatware displays, ice carvings, serving stones, straw and toothpick organizers, write-on displays, and much more. Founded in 1976 by Jack Hoon and Roy Carpenter, Diversified Ceramics Corporation continues to grow as a privately held company located in Alvin, Texas, a suburb of Houston. Over the years, our company has grown from manufacturing only two coffee mugs to producing over 150 items in more than 50 different colors. Diversified Ceramics specializes in manufacturing vitrified china for the foodservice industry that is American made, single-fired and lead-free. From standard ovenware to the manufacturing of custom products for the chain operator, our success has been based on exceptional quality, value and service. We hope that when you are in the market for tabletop ceramics and ovenware that you will choose Diversified Ceramics. Porcelain Dinnerware, Buffet, Serveware, Mats and Liners, Metal, Wire, Glass, and Disposable Products. Front of the House (FOH) has become the hospitality industry's authority on tabletop and presentation trends. Industry professionals have embraced FOH since our inception in 2002. We have perfected the recipe of designing and manufacturing smart, savvy, and commercial-grade serving solutions that are easy on your bottom line. By injecting the trade with all-encompassing dinnerware, buffetware, and serveware collections, we'll make your front of the house stand above the rest. Everything we sell is designed and manufactured by us allowing us to offer the best quality at the best price and the capability to customize all of our items to showcase your originality. Table Lamps, Candles, Chafing Lamp and Butane Fuel, and rechargeable battery-operated lighting. Hollowick has been serving the food service industry for over 35 years. Our primary goal is to enhance the overall dining experience and keep customers coming back again and again. To this end, we offer superior performance tabletop products that withstand the rigors of commercial/food service while enhancing overall ambiance, or in the case of cooking fuel, the buffet experience. We pride ourselves on innovation and have been at the forefront of many of the most significant advancements in table lighting and cooking fuel products including the refillable liquid candle systems, disposable liquid candle cartridges, highlight fuel cells, tea light and votive sized fuel cells and adjustable wick chafing fuel. Professional quality small appliances for the home, food service and laboratory industries. Waring is one of today's leading manufacturers of professional quality, small appliances for the home, food service and laboratory industries. Hospitality - Waring is dedicated to providing elegantly designed, personal care products to the Hospitality Industry. Laboratory - Precision meet power - Waring Laboratory supplies the equipment you need with the reliability you demand. Consumer - Bring classic design to your home with the Waring Retail Collection of high-power housewares. Commercial - Waring Commercial caters to professionals in the food business with a wide selection of industrial strength electrics.